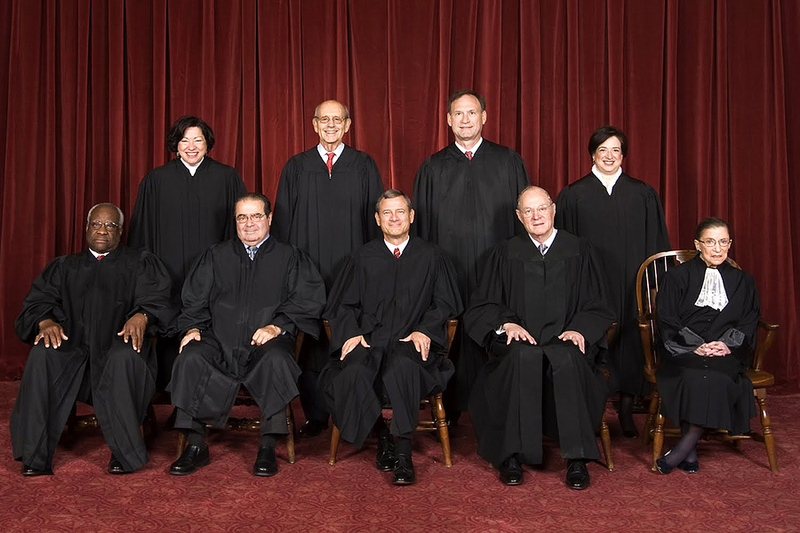 The Supreme Court decision in Obergefell v. Hodges is mostly about the issue of gay marriage. But as in most big decisions, there will be a large ripple effect that will extend into other church-state issues. One such issue is the question about whether churches will be able to maintain their non-profit status. In an op-ed piece for Time Magazine, Mark Oppenheimer has lobbed the first salvo in this debate. He believes it is time to end the long-standing tax-exempt status for churches. He states several reasons as to why he believes the exemption should end. But I think he’s wrong. This is a subject of which I have devoted considerable grey matter over the last few years because in 2013 I was called to testify at a house hearing in Phoenix regarding the passage of HB 2446. This bill would have strengthened the language in the Arizona constitution regarding vacant land owned by churches. So I feel compelled to respond to the issue of non-profit tax-exemption. First, Oppenheimer believes the exemption is bad because it forces the IRS to determine whether an organization is really a church. To make this decision, the IRS must dig into the details of the church. Oppenheimer says that it would be better if the IRS didn’t have to make this decision. But has he considered the alternative? If a church were to become a for-profit institution, then it would be required to file rather extensive tax returns. In reality, every year the IRS would dig into every detail of every non-profit church, school, and charity in the US. Right now non-profits are given a wide berth as to how they spend their income. That would change dramatically. And it is doubtful the IRS would collect any more revenue. The vast majority of churches do not make a profit. So even if they did pay taxes, the amount would be very small. However, millions would be spent to comply with the tax code. And the IRS would need to grow exponentially to handle the millions of additional tax returns. I hear this argument over and over again and it sounds quite compelling. “Hey, why should non-profits be exempt from paying property taxes? They use government services just like the rest of us”. But think for a moment about the two types of people who live in a community. There are the generous who support non-profits with their hard-earned money and there are those who give absolutely nothing. And for almost all non-profits, that money goes back to the community in all sorts of ways. When tragedies happen, the church opens up its door to the community to mourn. When a homeless person needs food or gas, the church helps out. Food banks, soup kitchens, youth programs, AA meetings, boy scouts, girl scouts, grief counseling, divorce care …the list goes on and on… are all integral and given to a community free of charge. All of this is paid for by the giving members of the community. When you think about it, the argument is backwards. It is those who do not give back to their community that are getting a free ride. They receive the benefit of all these organizations in their community and yet they aren't asked to pay a dime. When Oppenheimer suggests that these organizations pay taxes it’s really a form of double-taxation. First, these charitable people would pay their taxes at home, and then they would pay taxes again for all the non-profits that they support. Oppenheimer then complains about the mid-six figure incomes of some clergy, the huge value of some church properties and the huge endowments at Yale and his own alma-mater prep school. Yes, there are some non-profits that have done very well. But they are truly the one percent. Most churches operate on a shoe-string budget. He then says that the new-found property tax money could go to the poor. Except that his proposal is faulty. Research shows that it is by far the middle-class and poor who attend churches, not the wealthy. In fact, churches are one of the main sources of hope for the poor. But that doesn’t matter to Oppenheimer. He wants to get rid of every church program for the poor and let the state step in. Can he honestly believe that the state would distribute the funds better than a church? Please. Oppenheimer does make one exception. He said that some institutions could remain tax-exempt – especially the really important ones, like hospitals. And this is where I think the church has lost out in the Supreme Court decision. I would argue that churches are every bit as important to a community as a hospital. Much of the work a church does is behind the scenes. It is very low key. And somehow over the last decade we’ve been drawn into a rabbit hole about gay marriage as if that is the number one issue that churches care about. That is a lie. It is a distraction. It is important, but not as important as the hundred other ways a church interacts with the world. Join me in praying for our non-profits and our churches. May we be allowed to continue the work that we are called to do.